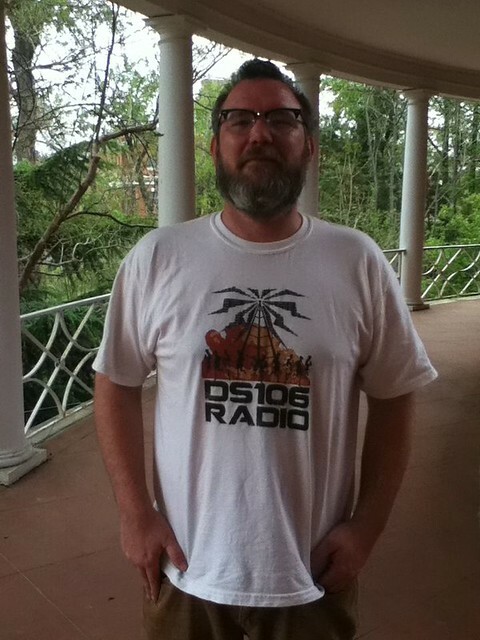 Taking a page out of Todd Conaway’s book I got my ds106radio t-shirts a couple of weeks ago and I ma finally sporting it around campus. Special thanks to Andrew Allingham for the design, and I hope to get more for Northern Voice, we will see. Special thanks to Jenn Arndt for snapping the pic and video. This entry was posted in digital storytelling, ds10699, ds106radio and tagged 99ds106, ds106. Bookmark the permalink.